First Professionally Built Bike Park in Utah to Open In Park City!! 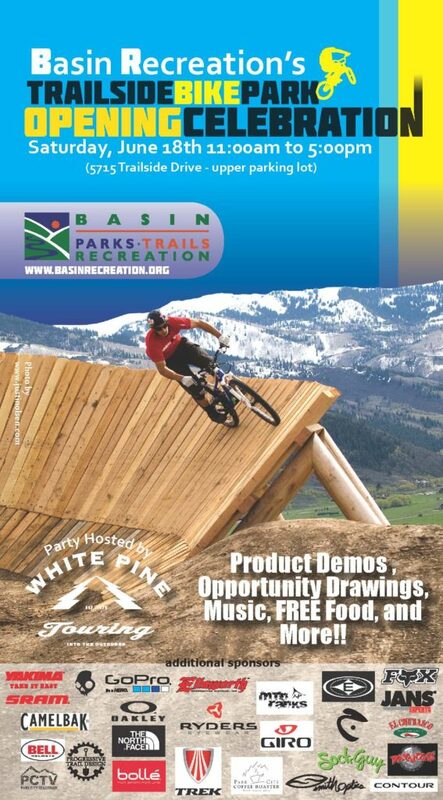 May 25th, 2011 Park City, UT- The Snyderville Basin Recreation District announces the celebration of its grand opening of the Basin Recreation Trailside Bike Park on June 18th, 2011 from 11:00am-5:00pm. The Basin Recreation Trailside Park Bike Park (5715 Trailside Drive, Park City, UT) is the first professionally designed, and built bike park in the state of Utah. Free and open to the public, the new Bike Park was partially funded from Restaurant Arts and Parks tax, with the remainder funded from Basin Recreation’s Capital Improvements budget. The Basin Recreation phase one Bike Park was designed and built by Progressive Trail Design; a professional trail/bike park development company. Progressive Trail Design has designed and built 19 other bike parks and trail systems for municipalities, state parks, national forests, residential developers, and private landowners. The Snyderville Basin Special Recreation District is a special District formed by Summit County to plan for, construct and operate recreation facilities and programs in the Snyderville Basin (the un-incorporated area surrounding Park City). Basin Recreation is dedicated to providing quality parks, trails and recreational experiences and opportunities for residents and visitors of the Snyderville Basin. One Response to "Basin Recreation’s Trailside Bike Park Grand Opening June 18, 2011"
It was a great event on saturday with lots of cameras. Do you know where those pictures will be posted? One comment about the trail, the run are too flat. its needs to be just a little steeper. otherwise it was allot of fun. Great for a family outing.